There is a time and place for everything and platform arcade games are no exception. They are usually simple, easy to learn, present a challenge and are perfect to pass the time when you're waiting for an appointment, waiting for a large program to compile or just have a few minutes to kill. 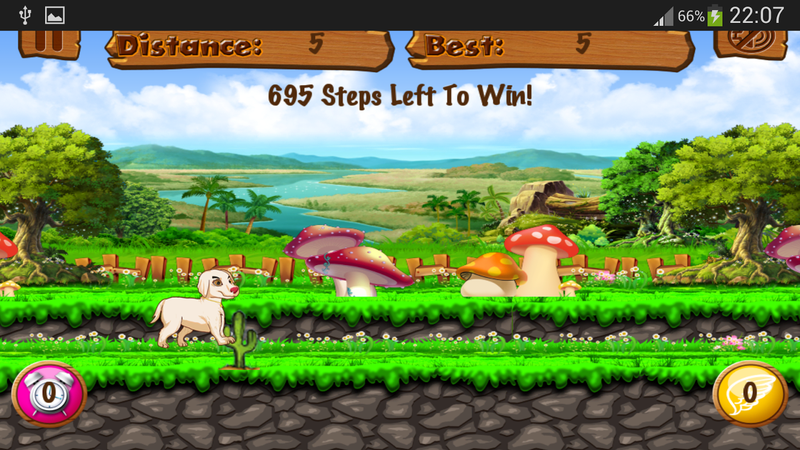 But platform games offer another exciting opportunity and that is to keep the kids occupied, even for a few minutes. Of course, we at Android Review Center are not in favor of letting the kids use our Android Smartphones ALL the times, but sometimes it is very beneficial to have a suitable game ready to run . We would like to present Pup Jumper, a game that is enjoyable to both adults and kids. What's the story with Pup Jumper? Well, the story is quite simple, really. 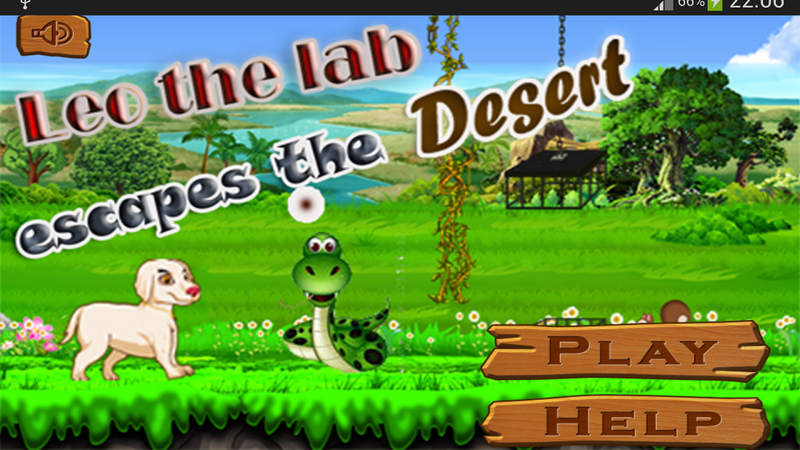 A golden Labrador pup finds himself in the middle of the desert and he must find his way out while taking care to avoid dangerous obstacles such as cats, snakes and much more. 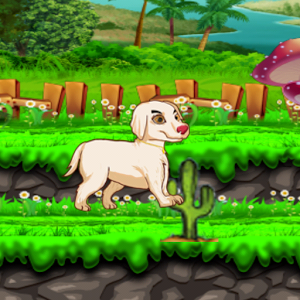 The gameplay itself is quite simple and easy to understand as our golden Labrador pup can be walked and jump with ease and only the timing remains, to make sure our pup makes the right jumps at exactly the right time to avoid the desert's obstacles. 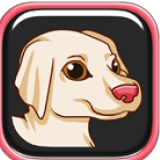 For adults, the game can be a lot of fun because of its very professional and attractive graphics, coupled with levels with increasing levels of difficulty, all of which makes Pup Jumper ideal for that five minutes break you now have. But the game really shines when given to kids. They learn very fast how to play it (even very small kids get the idea rapidly) and the game's graphics are all cute and cuddly, with a marked absence of violence from the game, which is something quite rare these days and its lack makes it suitable for kids. To sum things up, Pup Jumper is a platform game with a lot of action, needing quick fingers and great hand to eye coordination. The game can be played but adults and kids who adopt to this game rather quick, making this game a must app to have installed, just for emergencies.